The European and American Roadmaps on RPAS, a Review. In June 2013, the European RPAS (Remotely Piloted Aircraft Systems) roadmap was presented with its recommendations for the European Commission, upon which the latter will present specific proposals towards implementation with integration of civil RPAS into civilian airspace from 2016 onwards. 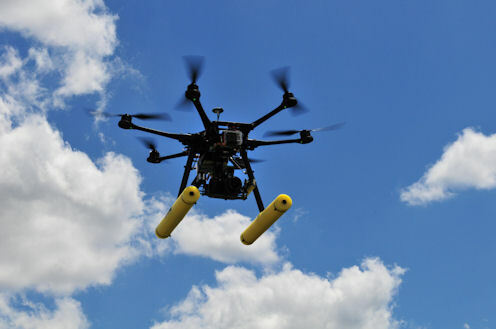 In November 2013, the Federal Aviation Administration issued plans for integrating Unmanned Aircrafts Systems (UAS) into the National Airspace System (USA). This plan is in our view not as accurate as the European one. ICAO did in the past refused to work on RPAS, but is now working on a RPAS guidance manual. 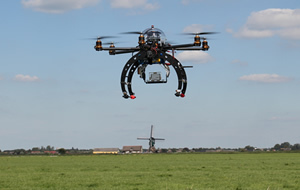 The European RPAS Roadmap was presented by the European RPAS Steering Group on June 20th 2013. It covers the development and integration into non-segregated airspace of civil RPAS in the next 15 years. The roadmap is articulated in three pillars: research and development; safety regulation and technical standardization; and complementary measures including privacy and data protection, insurance and liability. Based on the Roadmap and the recommendations it contains, the European Commission is due to present specific proposals towards implementation with integration of civil RPAS into civilian airspace from 2016 onwards. The use of RPAS can only be allowed if the responsibilities for the operation and the liability in case of damage to third parties are clearly defined and RPAS activities covered by adequate insurance schemes. On issues of liability and insurance, the Roadmap calls for a clear liability regime and an adequate insurance obligation to be put in place. The Civil Aviation Authorities responsible for RPAS operations authorization are called upon to ensure that these features are provided. This requires, as a first step, an analysis of the existing legal framework for third party liability (damage on the surface and in the air) and the current state of insurance practices, in order to make recommendations for the development of future RPAS regulations and the necessary related insurance. Exchange of experience and best practices among national aviation authorities is also highlighted in this context. There is a consensus that third party liability for damage caused by RPAS should be developed on the basis of the principles for manned aviation. Automation creates an additional level of complexity to the question of responsibility and liability. However, legal experts have concluded that strict liability will fall on the operator of the RPAS. The competent authorities have to ensure that the operators comply with the applicable national and/or European rules and regulations. As in the case of manned aircraft, a pre-condition for the issuance of an operating license by Member States should be the proof of insurance. Insurance requirements for air carriers and aircraft operators are defined by Regulation (EC) No. 785/2004 which covers the liability of the operator for passenger, baggage, cargo and third parties. The Regulation also covers the risks related to acts of war, terrorism, hijacking, acts of sabotage, unlawful seizure of aircraft and civil commotion. The Regulation applies to the commercial utilization of all kind of RPAS. It does not apply, however, to state aircraft. RPAS operated by public authorities are therefore exempted from insurance requirements. This regulation was issued 8 years ago. However, it does not take into account the specificities of RPAS. It requires some adaptations to better address the real risks related to the commercial and corporate exploitation of RPAS (i.e. limitation to third parties damage, introduction of further categories to accommodate different classes of RPA below 500 kg, adaptation of risk levels to the flight characteristics of the very light RPAS, etc. ), as highlighted by the recent fitness check performed on this regulation. Insurance products for RPAS exist, but given that most RPAS missions are currently carried out by state aircraft, demand for such products is limited. Whereas the methodology for the calculation of premiums for large RPAS is comparable to that for manned aircraft (based on weight), this methodology would need to be adapted to also cover light RPAS. In the FAA Modernization and Reform Act of 2012, Congress asked the FAA to adopt rules and develop plans to begin integrating UAS (Unmanned Aircraft Systems) into the National Airspace System, safely and efficiently, by 2015. As it stands, the FAA permits public entities to operate UAVs only though a Certificate of Authorization and only for certain purposes. The FAA’s next step, scheduled for the first quarter of 2014, is to publish a proposed rule for small UAVs (55 pounds and under). On November 7, 2013, the Federal Aviation Administration (FAA) issued long awaited plans for integrating UAS into the National Airspace System. This document includes a plan, roadmap, and a privacy requirements element. The Roadmap identifies many of the technical distinctions between manned aircraft and UAS and anticipates rulemaking activity the agency will undertake to integrate UAS. 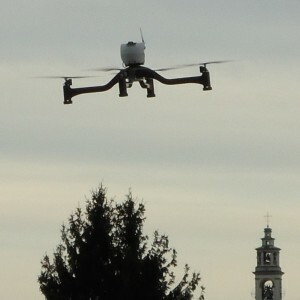 According to the FAA, its current regulations do not consider many of the unique aspects of UAS operations. As an example, the Roadmap indicates that certification requirements, airworthiness standards and other criteria will be established for UAS control stations and data links—in addition to standards for the unmanned aerial vehicles (UAVs) themselves and their pilots. This would represent a meaningful expansion in scope of the FAA’s certification and oversight activity with a concomitant demand on its resources. It will be important for stakeholders to monitor and also participate in FAA rulemaking proceedings. The Comprehensive Plan is a high-level document setting forth interagency goals and a notional timeline for integration. Other agencies mentioned in the plan include the Department of Homeland Security, NASA and the Department of Defense. Among other things, the Comprehensive Plan contemplates Routine Civil UAS Operations by 2020. It also calls for specific administrative actions such as approvals of ground based and also airborne sense-and-avoid operations for UAS. At state level, many state legislatures are debating if and how UAS technology should be regulated, taking into account privacy concerns, the benefits of their use and their potential economic impact. In 2013, 43 states introduced 118 bills and resolutions concerning UAS issues. So far, 16 bills have been enacted in 13 states and 14 resolutions have been adopted in 10 states. Common issues addressed in the legislation include defining what a UAS or drone is, their use by law enforcement or other state agencies, their use by the general public, the formation of study committees and Federal Aviation Administration (FAA) test site application process. ICAO is in the process of developing its long awaited regulatory framework for integration of UAVs. So far ICAO’s UAS Study Group has produced Circular 328 (2011) on UAS and amended Annexes 2, 7 and 13 to the Chicago Convention to accommodate RPAS intended to be used by international civil aviation. The Circular (i.e. technical information of interest to states) contains an overview of the applicable UAS ICAO framework, terminology, legal considerations (re Articles of the Convention), operations (rules of the air, ATM, SAR, AVSEC, aerodromes, environment), equipment (aircraft, remote pilot station, ANS infrastructure) and personnel (remote pilot, ATCO). The initial set of standards contained therein defines an RPAS as a remotely piloted aircraft plus one or more remote piloting stations, flown by remote pilots who work for an RPAS operator. Furthermore, a RPAS has to have a certificate of airworthiness that goes to the aircraft, not the system, but which only goes to the aircraft if it is evaluated as a system. The RPAS operator must be certificated – akin to an air operator certificate – and the remote pilot has to be licensed. ICAO is working on an RPAS guidance manual (replacing circular 328) to be published in early 2014, in advance of the related standards. It will cover requirements for certificates of airworthiness, RPAS approval, operator certification, and new lines of distinction between airworthiness, maintenance and operations. In 2016-18, ICAO plans to issue SARPs (standards and recommended practices) and PANs (procedures for air navigation) for aircraft, operators, licensing, sense-and-avoid, communications, and basic air traffic management (ATM) procedures for RPAS. In 2020-23, the SARPs will be refined to add aerodrome requirements and expanded ATM procedures. According to the UAS Study Group, by 2028 ICAO aims to have all the requirements to operate RPAS in all classes of airspace and aerodromes, in place. This publication is defined to provide accurate and authoritative information in regard to the subject matter covered. It is transmitted with the understanding that the publisher is not engaged in rendering legal, or any other professional services. If legal advice or other expert assistance is required, professional services should be sought. You can always contact A. Flieger at flieger@fliegerlaw.com.